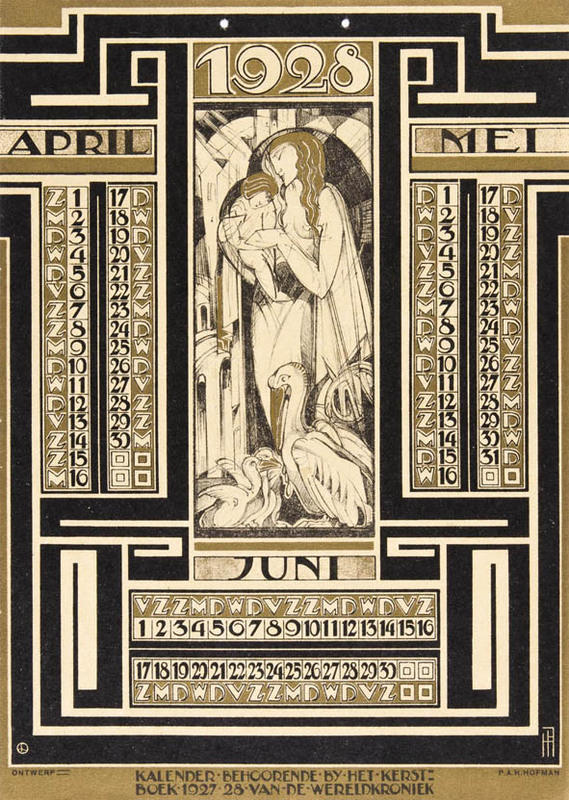 Pieter A.H. Hofman (1886-1965) was an artist from The Hague who designed mainly graphics, book covers and stained-glass windows. 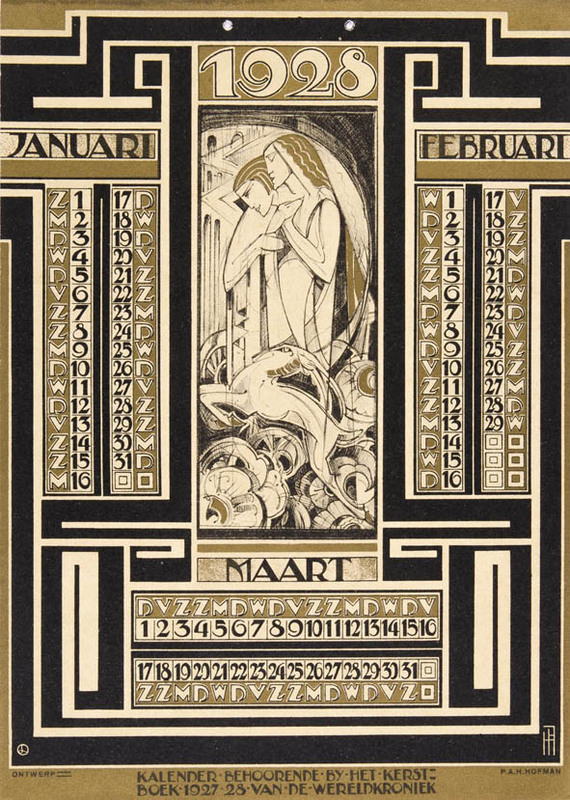 In 1927 Hofman made this stunning calender sheets for the Christmas book of the ‘Wereldkroniek’ (World Chronicle). 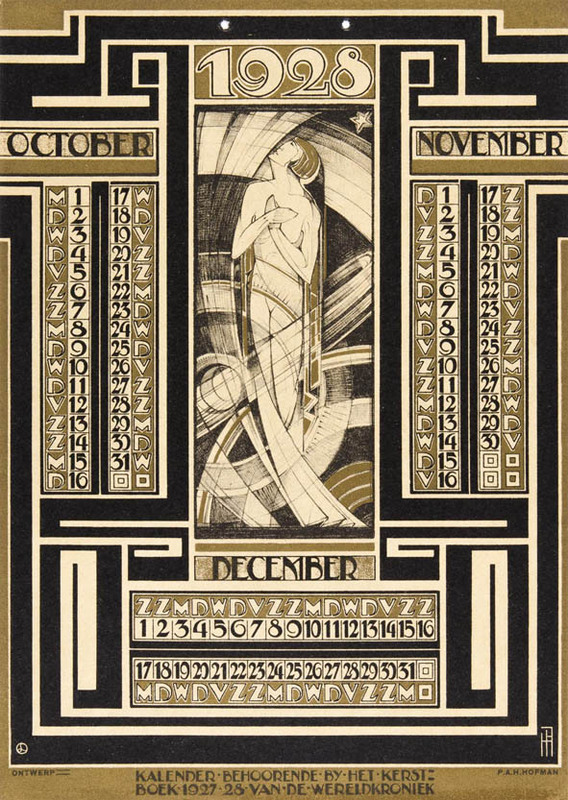 Typically for his personal style is the mix of Symbolism, Art Deco and Amsterdam School. 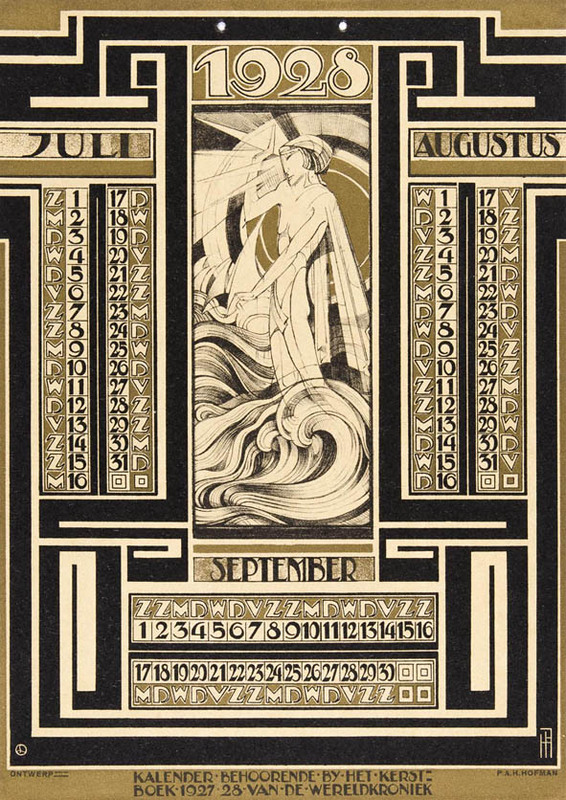 His right-angled monogram is placed at the bottom right of the pages.